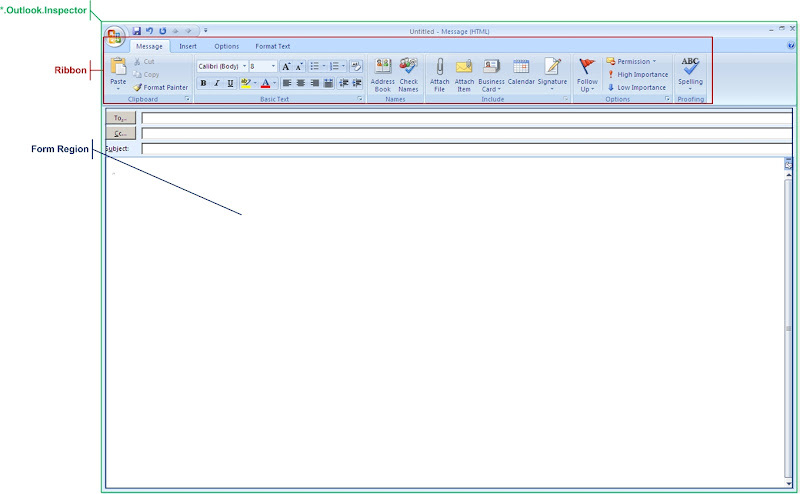 In this post, I’d like to talk about certain basics for Outlook 2007 starter programmers. 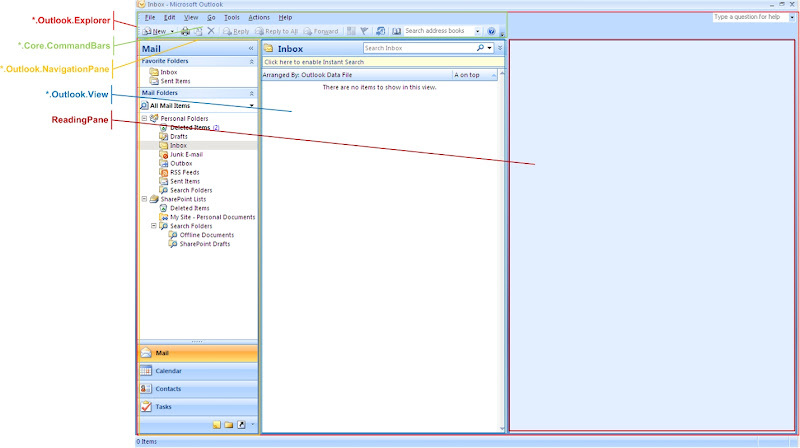 Outlook 2007 is shipped with enhanced programmability in various ways. Looking at Outlook Object Model Reference, new users are often confused by terms such as view, reading pane, inspector, Ribbon, etc. Below two pictures illustrate often used view terms here.